His Majesty The King granted an audience to the 33rd batch of the integrated De-Suung training programme in Wangdue Phodrang yesterday. The 33rd programme was designed for executives and saw the participation of Members of Parliament, Thrompons, Dzongdags, and executives from the civil service, corporate organizations, and private companies. 106 volunteers attended the three-week training programme, which ended on April 13. 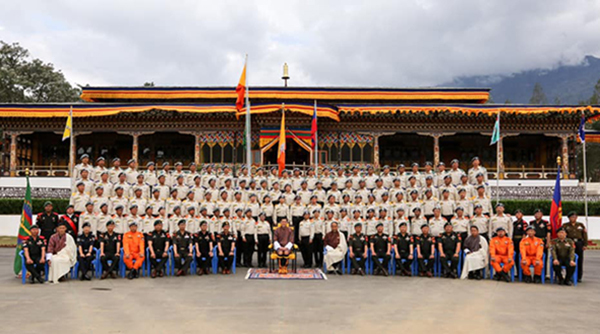 Including the current batch, 3,977 De-Suups have now been trained since it was started in 2011 upon the Royal Command of His Majesty.